François Augustin Regnier de Jarjayes would have never imagined that he would be famous over 200 years later in far away country of Japan which he may have never heard of in his life. Oscar Francois de Jarjayes is the sixth daughter of Francois Augustine. He desired to have a son after having five daughters but fate has it that his sixth child was also a daughter. In his desire to have an aire, he raises his child as a man. As the result Oscar becomes a brigadier general in the royal guard. Yet, she is a woman (and rather good looking one at that ) which attracted the hearts of millions of Japanese teenage girls which made this comic a sensation in the '70s Japan. 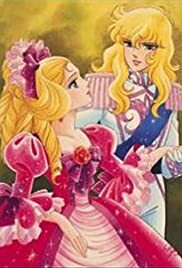 Rose of Versailles became a sensational hit as a comic, and an anime series. Now a classic, it still enjoys popularity to some degree in 21st century Japan. Few Japanese girls comic enjoys a classic status but this one is one of them.